I am always surprised at the amount of illustrators, armed with folders and bussinesscards, that roam the halls of the fair. 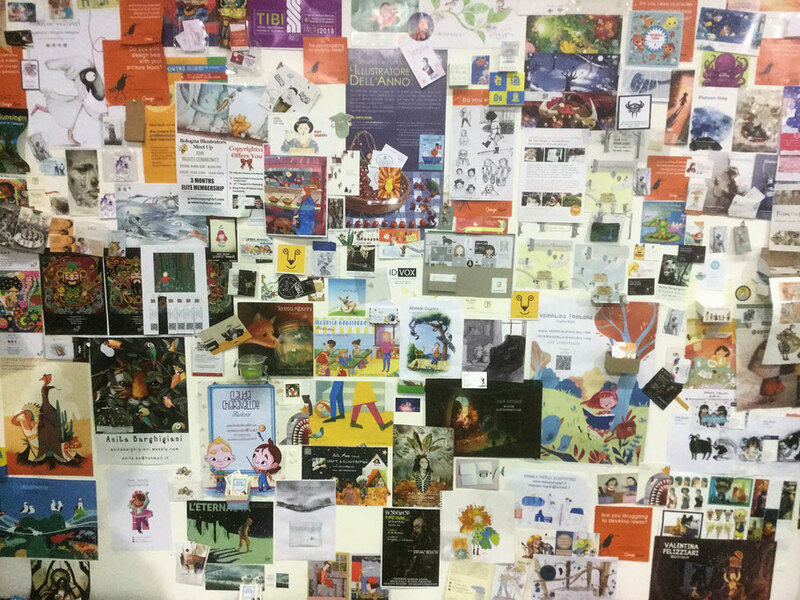 Already on day 1, the walls of the entrance hall are clad with illustrators cards. Does anyone ever get an assignment that way? Do publishers even look at them? Please let me know if you know (or are) somebody who got work this way!